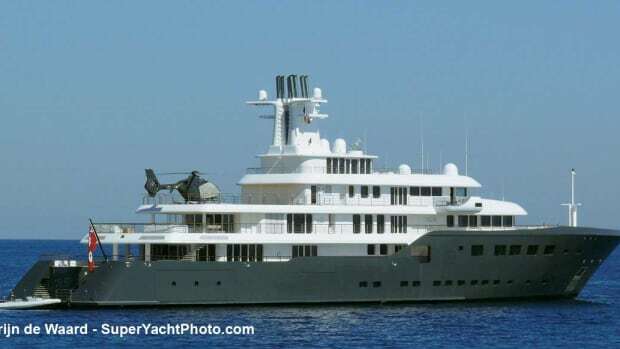 Topaz, which spent time in Barcelona this past April, is another yacht cloaked in secrecy. 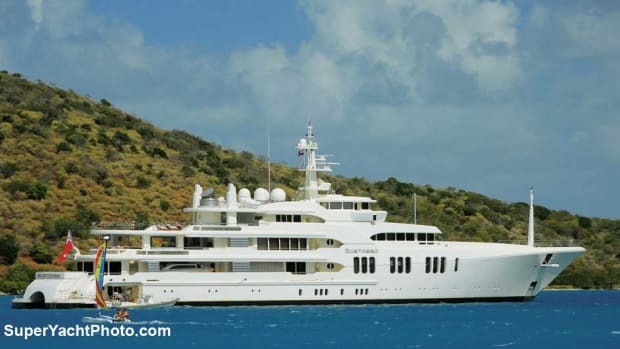 While Terence Disdale created her interior, there are no details on her décor. 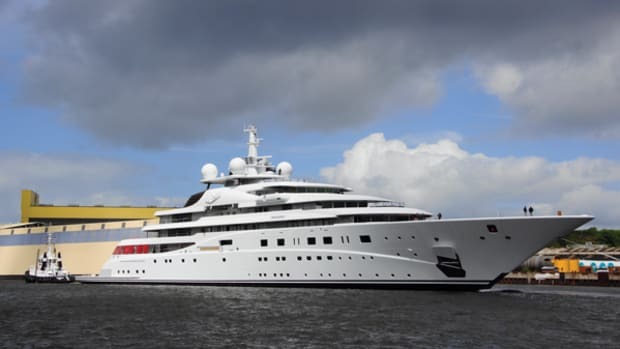 When Amels launched Montkaj in 1995 her length was 246 feet, which made the largest yacht built in the Netherlands at the time. 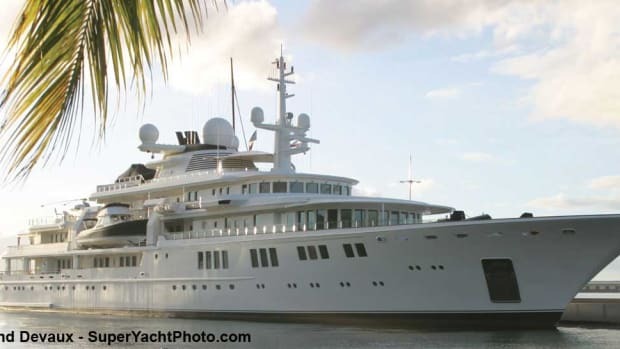 A major refit in 2000 extended the yacht longer by 10 feet. 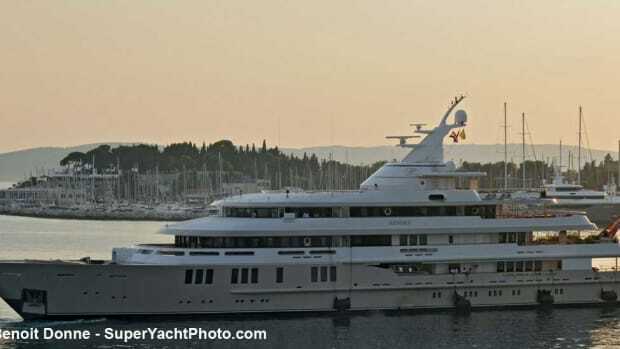 Prince Mohammed, son of the late King Fahd, owns Montkaj, one of the world’s most secretive yachts. 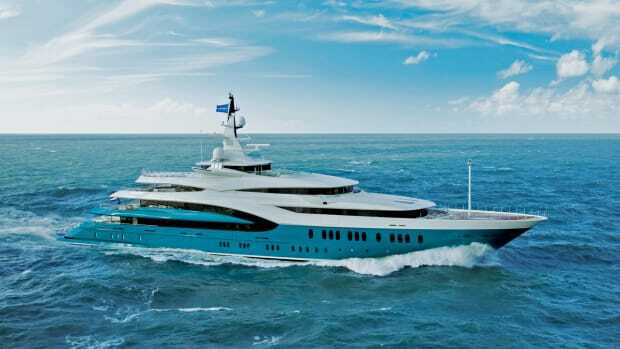 Like its predecessor, Vibrant Curiosity, the yacht is based on the tried-and-true Oceanco platform and features naval architecture by Azure. 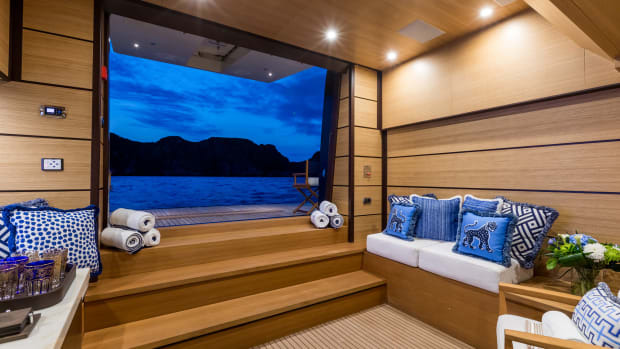 Bjorn Johansson Design gave the yacht its appealing styling enhanced by a bold teal hull color, which is sure to let the yacht stand out in a crowd. 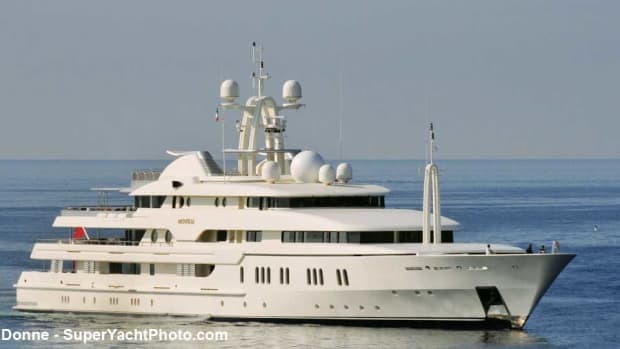 The interior is by Terence Disdale. 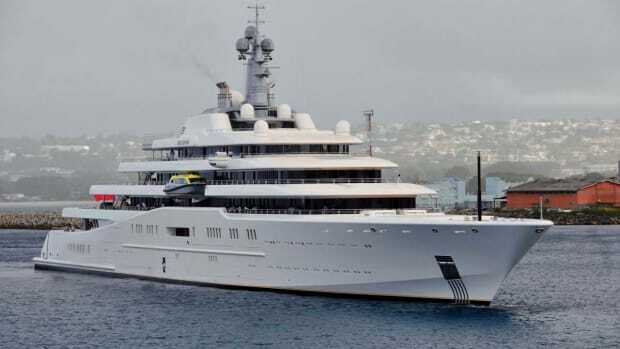 Although he already owned several luxury yachts, Russian Tycoon Roman Abramovich was so impressed by Pelorus that he purchased her from her commissioning owner during her maiden voyage in 2003. 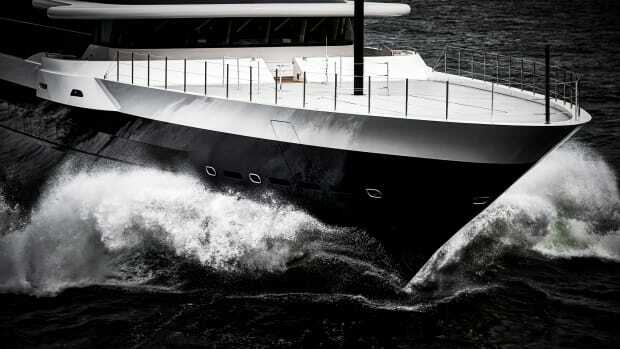 Built by Lürssen at a parent shipyard, this impressive yacht draws inspiration from Carinthia VII and has an exterior design by Tim Heywood. 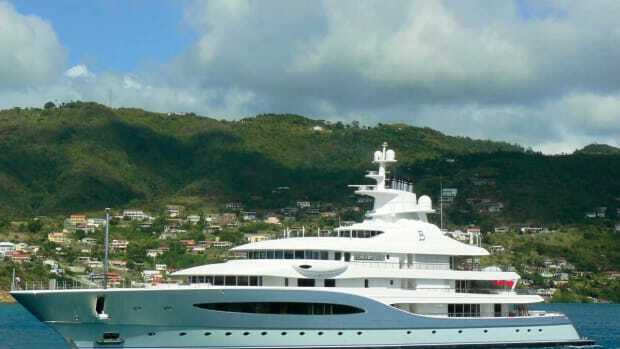 Eclipse took the crown as the reigning queen of private yachts in 2010 and, so far, has not been unseated. 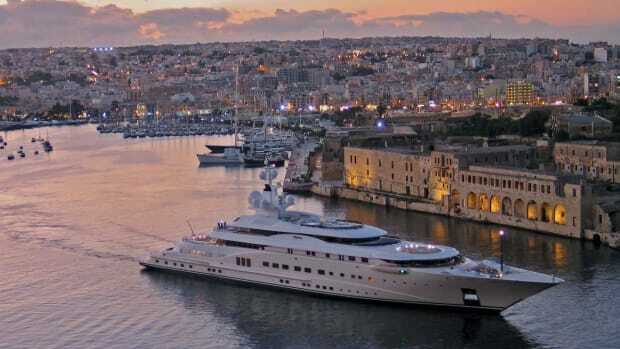 Rather stylish for her estimated 13,000 gross tons and 72-foot (22-meter beam), Eclipse owes her styling to UK-based designer Terence Disdale who also worked on Pelorus, once the flagship of Roman Abramovich’s fleet.